Ethereum has fallen to its lowest level in a year, breaching support to drop below $360 at around $350 at the time of writing. Thats on trading volumes above $2 billion, with the dollar pair significantly leading for eth. In fact you have to scroll down quite a bit to reach any fiat pair. In contras to just a few months ago, the South Korean money is no where to be seen, or indeed any other fiat trading pair for eth. Ethereum falls to a new low. The currency is now, for the first time, in the red over a one year period. 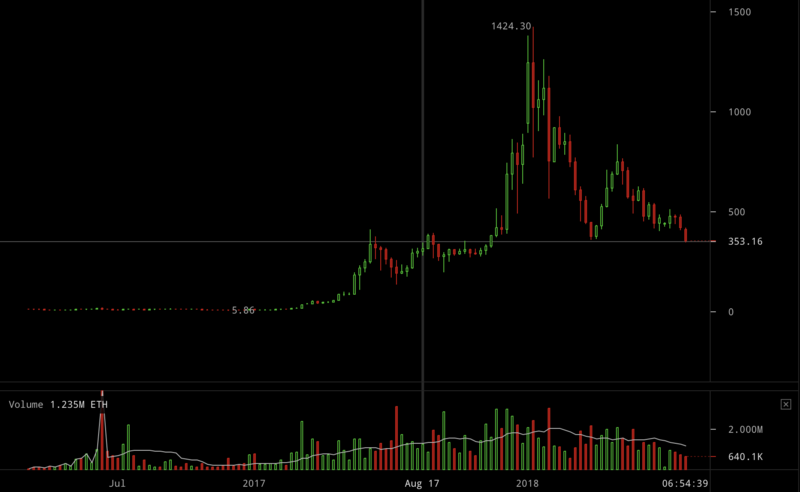 It might be headed to $300, but we’ll have to wait and see whether the one true price 324 meme holds. Bitcoin has dropped some 12% to just above $6,000. Its trading volumes too are up slightly, with the dollar pair leading, followed by JPY. Unlike in eth, here we can at least see the euro pair and that of South Korean money, although we do have to scroll a bit. All other cryptos share the above story. Xrp is down 20%, as is Bitcoin Cash. In fact no crypto is in the green out of the top 100 except for Tether. What exactly is going on does remain a bit of a mystery. Suggestions are the delay in a bitcoin ETF decision done it, but it sounds strange that other cryptos, like eth, would be so affected by it. It might, thus, be just sentiment. A brutal bear market has been raging for months. 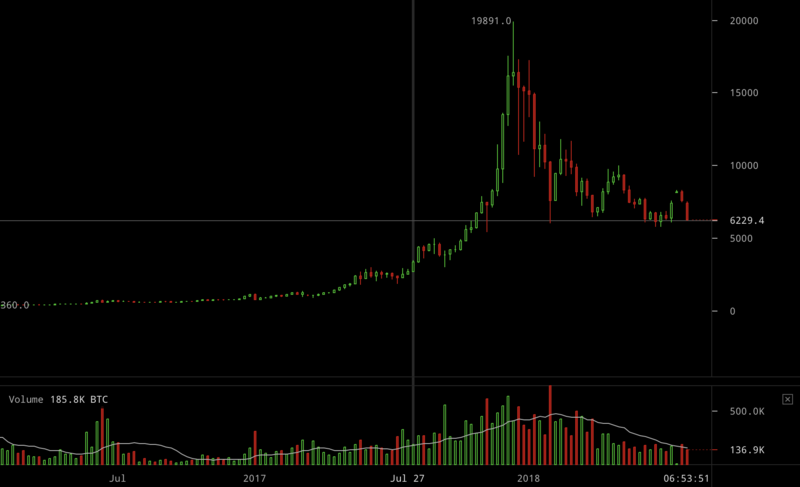 A little bit of green has been followed by many more red candles. How long this will continue remains to be seen, but so far January seems to never end with sell-offs followed by even more sell-offs even as, arguably, the infrastructure is continuing to grow and mature, especially in eth.